(CNS): A 36 year old serving police officer who has been charged with firearms offences will answer those charges in the Grand court later next month following his appearance in the lower court this week. Alexander Caraballo-Kelly, from Cayman Brac who has been suspended from duty with the RCIPS appeared in Summary Court Tuesday in connection with the illegal importation and possession of a 12 gauge shotgun magazine in December 2012 and evading customs duty after he allegedly claimed that firearms accessories were toys and flashlight accessories.Caraballo-Kelly was bailed to return to court on 22nd November. (CNS): Specialist officers spent a good deal of Wednesday draining the pond off Courts Road as the investigation into what is suspected to be the murder of Patrick Leonard Williamson, a.k.a. ‘Carlos’ continued. 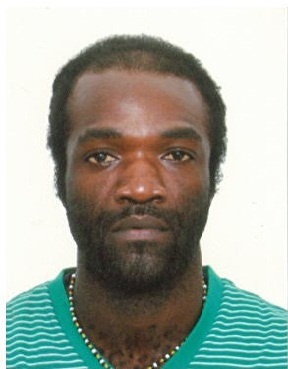 The RCIPS have still not given any further details on how they suspect the 35 year old Jamaican national died as officials continue to wait for the results of a post-mortem which is expected to take place on Saturday but the police are treating the case as a murder enquiry. Williamson was last seen alive in the early hours of Saturday 26 October and was reported missing on Sunday afternoon. His body was discovered in the pond close to his George Town home at around 7am Monday morning. Officers are trawling through hours of CCTV footage from various locations as they attempt to piece together a picture of the last few hours of Williamsons’ life and determine what happened to him. Police have appealed for anyone who saw him or his car on Friday night Saturday morning to come forward Williamson was last seen alive at around 3:30 on Saturday morning by his friends in the vicinity of Eastern Avenue and Courts Road, where he had dropped people off after a night out. This was close to where Williamson who was driving a silver Toyota Corolla 145 228 lived. Prior to dropping his friends home they had all been to a number of George Town bars, including Meringue Town, Bananas and Nectar. Officers believe that Williamson was involved in an altercation outside Nectar bar with another man and are pursuing that line of enquiry. Anyone with information that can hel with the investigation is asked to call George Town police station 949-4222, the RCIPS tip line 949-7777 or the anonymous tip line Crime Stoppers 800-8477(TIPS). 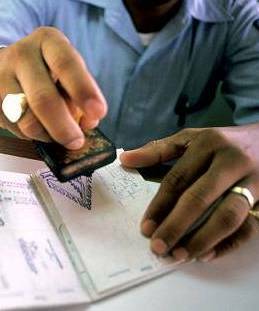 (CNS): Despite the massive number of people that the immigration department had to regularize this week, government officials confirmed Wednesday afternoon that almost all of the 1,465 Term Limit Exemption Permit holders that remain in Cayman have now had their passports stamped. This means they can continue to work until 9 December if they have jobs or deal with their affairs in preparation to leave if they do not. Just 155 people remain outstanding and officials said that enforcement officers will be taking measures to address those people who hold the expired permits and have not regularized their immigration status. All TLEPs expired on Monday 28 October, and following the amendments to the Cayman Islands Immigration Law, all work permit holders can now stay in Cayman for up to nine years provided their permits are renewed and no Caymanians apply for and successfully get the jobs they hold. Although this means hundreds more workers will now reach year eight, allowing them to apply for permanent residency, government is still hoping most will be deterred from doing so because of much more stringent requirements to qualify for residency and the hefty fees attached to the application. With the TLEP now a thing of the past, the workers formerly here on those exemption passes will need to get new work permits but their bosses will be under the spotlight over the next forty days as they begin advertising the posts. Government said that the Department of Immigration will work closely with the National Workforce Development Agency to identify willing and able Caymanians to fill these and any other position held by foreign workers. With government now focusing more heavily on enforcement of the immigration law to stamp out abuse of the system, employers who apply for work permits for expatriate workers must inform immigration about any Caymanians who have also applied and explain why they were not successful or face a $20,000 fine. The government has said it will be watching employers closely to ensure advertisements for jobs are not over inflated or tailored to meet a specific applicant but that they are fair and reasonable. (MO-COM): MOVEMBER, the month formerly known as November is here and with it comes the annual month-long charity event where guys get to grow a moustache to help raise awareness and money for men’s health issues such as prostate cancer. Guys in the Cayman Islands pay a registration fee, which gets them a T-shirt, and the opportunity to compete for Man of Movember. On the 1st Movember, contestants start clean-shaven, and have the month to grow their MO. To raise money for the cause, they approach family, friends and co-workers, who pledge to sponsor them an amount for growing their MO. MO Sistas can also show their support by buying a t-shirt – we have special ladies sizes. All proceeds go to the Cayman Islands Cancer Society. At the end of the month is the MOsquerade ball, where MO Bros come dressed up to complement their MO and compete to win prizes in various categories and the prestigious award of the Man of MOvember is made! The folks on MO-COM, the MOvember Committee, have planned a great opening weekend to ensure that the month of MOVember starts with a bang. Royal Palms and Tukka Restaurant are joint MO-HQs so that all ends of Grand Cayman are covered by this ever expanding phenomenon. There will be sign ups at Royal Palms on 1st Movember, and a family day also at Royal Palms on the 2nd. MO Bros in East End and North Side can sign up at the Tukka Restaurant on the 3rd Movember. Movember started in Cayman back in 2005 when 25 guys got together to grow moustaches to increase the profile of men’s health issues. In 2012 that number had increased to 205 and the total raised for the Cayman Islands Cancer Society is over $500,000. That’s quite an effort I think you’ll agree. They’d love you to join in too and grow a MO to show support for this very worthy cause. Start your Movember off by signing up online now (http://www.movember.ky/2013/register/) and you can set up a personalized online donating site for friends and family overseas (http://www.movember.ky/2013/donate/). In addition to their website they even have a Facebook site (Movember Cayman Islands) to sign up too and you can get daily mo’tivitationals to keep you inspired throughout the month. The guys at MOvember are changing the face of men’s health in Cayman one whisker at a time. Come on down to ROYAL PALMS with your CI$25 to complete your sign up (from 6pm) and pick up your limited edition Movember 2013 T-shirt and wrist band. Enjoy many Happy Hour(s) of MOvember magic! Share your MO thoughts and dreams with like-minded chaps and chapess-es. There’ll be drinks specials on Miller Lite, MGD and a special Raspberry MO’jito that raise money too. But it doesn’t end there. No Sir. You can also get clean shaven in our special Shaving Chair. Expert shavers from HALO will be on hand to clean up your top lip, chin and cheeks to present a wonderfully “mmmm-so-smooth” surface perfect for growing that amazing moustache you always dreamed of. Wait, there’s more… you can also try your hand and ride Big MO, the MO’chanical Bull. He tries his hardest to throw off any clean shavenguy (or girl) – it’s a good chance to test your manhood so early in the month. There’ll even a demo by the lovely Betty-MO, Amber-MO, Brandi-MO and Tammi-MO, the wondrous MO-SISTERS from Arkansas, to get your juices flowing. EPIC DAY ENTERTAINMENT is helping us organise Movember this year so you know it is going to be awesome! Now, because we at MOVEMBER have a caring sharing side (what real man doesn’t?) we’re having a fun packed Family Day at Royal Palms on Saturday 2nd Movember. If you can’t make sign up on the 1st then come down on the 2nd. We’ll be there from 1pm for sign-ups and are putting on a feast of activities for the family. There will be paddleboards (big salute to the guys at Watermans), face painting, Zipper Envy (the manliest-named band on the island) will be playing, MO’YOGA by Chantelle Cooper at 5.30pm and at 6.15pm (sign-up at 6pm) there will be the inaugural MO’ MILE – a leisurely sundown walk from Royal Palms to The Ritz (and back). It’s the perfect way to finish off a great FAMILY DAY. Wear a blue shirt or your MO13 shirt, Glo-bands will be provided for the kids too. It’ll be $10 per adult, kids are free – it’s a great chance to enjoy the best of Cayman whilst doing the best for Cayman! The MOpening weekend culminates in Chef MO’s epic MO Brunch at Cayman Tukka. Nice and close for our legendary MO Bros from the East and in North Side, and anyone else looking to finish the weekend off in style… starts at 11.30 – 3pm. A good feed is just what your MO needs to kick-start that awesome whisker growth. You can also sign up to the Movember Facebook site (Movember Cayman Islands) or follow us on Twitter. There’ll be some inspirational postings to keep you MO’tivated all month long. For updates, keep your radios tuned to 96.5 CayRock, X107.1, Hot 104.1 FM and/or 106.1 KISS FM!! (CNS): The Cayman Islands’ first ever statistics fair revealed a little insight into how eleven of government’s agencies depend on numbers. Hosted by the Economics and Statistics office, its director Maria Zingapan told visiting students to the fair which was held at UCCI that “statistics is the art of telling stories using numeric data.” She challenged them to discover the stories and seek opportunities to use statistics in their lives. The ESO boss said it was important that the students learn “to distinguish between statistics that lie and don’t lie” which involved asking the right questions about how statistics are collected and by whom. Children and Family Services, Education, Environment, Environmental Health, Immigration, Lands and Survey, Planning and Sports as well as the Health Services Authority and the Police were among the exhibitors. “This is why I cannot over-emphasize enough the importance of good statistics not only for the sake of informing decision-making in government and the business sector. We need statistics to record and confirm our journey as a people and to help us examine the paths we have chosen. Of all the reasons for promoting statistics, I submit that this is the most crucial; unfortunately, it is oftenforgotten and neglected,” he said. 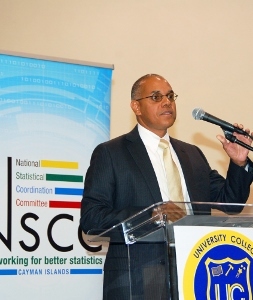 He spoke about Cayman’s competitive advantage relative to the rest of the world which could not be accurately conveyed or affirmed without statistics and how the development of local statistics now significantly depends on international standards. “The production of statistics has become global – our surveys, concepts and definitions must conform to those set by international statistical bodies in order for these to be acceptable,” he said. The main purpose of the fair however was to encourage young people to see the importance of statistics and even encourage them to think about a formal education and career in statistics or economics. “You can have a good future in these professional areas, especially because statistics has truly become a global profession,” Archer who is no stranger to numbers told the young people in attendance. “The director of ESO has an ambition of having a Caymanian takeher place as soon as possible,” he said, adding that a statistics career was a meaningful way of contributing to Cayman’s development. Archer commended organisers but challenged them to go further and develop an official statistical system. “I envision an NSCC where all members are dedicated in assisting each other in producing and disseminating quality statistics that are sensitive to the needs of the community and in compliance with accepted international standards,” he said offering his support for such a project. (Stingray Swim Club): The 2013 Mike Lockwood Memorial Swim Meet takes place November 14-17th at the Lions Aquatic Centre and is hosted by Stingray Swim Club.This meet take place over four days, offers an array of events from the traditional 50m sprints to the longer 100m, 200m and 400m events and it is the first meet of the season which affords swimmers, between the ages of 11-17 years, the opportunity to make qualifying times in all of the possible events which will be part of the 2014 CARIFTA Swimming Competition. Previous meets held locally did allow for qualifying times to be recorded, but not in all the possible events. The two longest events, the 800m and 1500m events take place on Thursday 14th – as do the first two Masters events. After that the meet takes place Friday 15th, starting at 5:30pm and then Saturday 16th and Sunday 17th starting at 8:15am. An enhanced club commitment to healthy, nutritious, athlete focussed food will see the concession stand offering healthy food options, developed in conjunction with Kirk Market and nutritionist Andrea Hill. Everyone attending the Meet is encouraged to visit the Concession Stand and to get some ideas on what you might want to add to your weekly shopping list as well. Registration closes at Midnight on Friday November 6th and there will be no deck entries. Swimmers should either register online through their club or visit the Stingray website www.caymanswimming.com to print the forms, complete them and then drop them off in the box at the Stingray Shed at the Lions Pool with payment. Son of Lion Mike, Michael Lockwood, continues the family legacy of community involvement and is this year’s Vice-President of CIASA. “My father was a strong believer in keeping children at the centre of our community and always encouraged sport clubs, especially swimming, to host specific events for them. 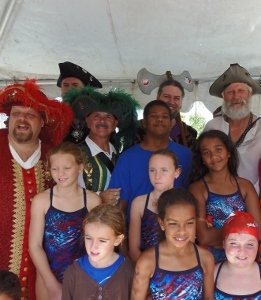 CIASA continues to encourage this message by building up the learn to swim and development programmes to ensure that every child in the Cayman Islands knows how to swim sothat they can make a choice to continue to the age group and elite levels." Admission to watch the meet is free; and four sessions means there are four opportunities for you to come out and support Cayman’s youth. Meet sessions are on Thursday 15th from 6:00pm; Friday 15th from 5:30pm; Saturday 16th and Sunday 17th from 8:15am. The last two decades have proved challenging for the offshore financial industry. It has been an era of heightened initiatives both internationally and onshore, which have had a dramatic impact on the offshore financial services industry. The 2008 financial crisis added to this movement, certainly in terms of the rhetoric and renewed threats of drastic action against small offshore financial centres (OFCs), which have difficulty in pushing back in a meaningful way. Post 2008, many OFCs, and those in the Caribbean in particular, experienced declines in their two key industries, tourism and financial services, which inevitably impacted on general local business activity and government revenues. This in turn highlighted both short and long term fiscal problems for their governments. However, reports of the impending demise of the offshore industry have been somewhat exaggerated. There will continue to be a place for high quality, innovative and adaptive OFCs, unless the world goes back to a wartime style era of exchange controls, fixed exchange rates and restricted global trade and investment, and despite there being some short term signs to the contrary, eg, currency controls/manipulations and ad hoc black listings, this is unlikely in the long term. Driving much of the international activity is the battle to retain control of the world’s capital and thus the ability to tax it. The old guard is fighting hard to maintain the status quo under the cloak of securing financial stability, tax fairness and transparency. Most major jurisdictions publicly support open and competitive global markets between which capital can freely move. Indeed, there is a growing body of academic studies that argues that OFCs enhance competition in onshore markets and facilitate foreign investment into onshore jurisdictions that might not otherwise be made due to domestic constraints in those jurisdictions. But many jurisdictions that claim to support free markets principles and the unrestricted flow of capital do so only as long as this system works in their favour. Behind the façade of championing open markets, they actually pursue self-interested financial imperialism and protectionism. For example, with their financial services and products and in facilitating the global allocation of capital, OFCs pose a major competitive and potentially uncontrolled challenge. Thus, the UK and the US in particular are not keen to see OFCs thrive too much, but they do recognise that for their own financial service industries and multinationals to be competitive they need to use OFCs. Further, they recognise that OFC structures are also often the conduit for valuable inward investment from foreign investors. This traditional position is now under serious pressure as many politicians see more electoral downsides than upsides in the continued symbiotic relationship between onshore and offshore. Other major European nations with growing and unfunded entitlement programmes and ageing populations fear loss of capital to OFCs and as a result reduced tax revenues. And they wrongly see OFCs (as opposed to their own domestic policies) as the cause. So, while voicing their commitment to open markets for (their own) financial services and products, they continue to impose burdensome and anti-competitive regulation on OFCs and to raise barriers to their residents investing in or using OFC financial products or services. Ironically, many of the very same major economies continue to give special ‘tax breaks’ to entice companies and individuals to relocate to or remain in their countries. The international standard setters mandated to execute the various initiatives are generally the creatures of and are funded by the very same major countries that have no real interest in a level playing field open to OFCs or to anyone else threatening to deprive them of control of the world’s capital. The staff of these standard setters also has every reason to preserve and expand their activities and their tax free benefits packages. Various important initiatives are underway or threatened. These initiatives have been significantly energised by broad political support at the highest level in the major economies of the world as a result of the financial crisis. At the very top are the G8 and the G20 policymasters leapfrogging eachother every few months in producing macro statements, followed up by often overlapping reports. The G20 now seems to be the preferred leader. The G8 and G20 have been laying out the ‘big picture’ framework for global standards on issues such as corruption, banking, corporate governance, taxation, financial markets and executive pay. The G20 has endorsed the work of the Global Forum (an OECD subset) on tax transparency and exchange of information and urged completion of the peer review of effective implementation and adherence to international standards and preparation of countermeasures against non-compliant countries. The OECD has since 1998 been pursuing its global tax initiative, that has been chameleon like in its changes during the period. The programme is now focused on automatic tax information exchange and transparency (beneficial ownership disclosure) and their effective implementation. In tandem with this, the OECD is now fast tracking its ‘BEPS’ (base erosion profit shifting) project at the behest of the G20. This potential recasting of the international tax regime should keep bureaucrats happy for decades to come. The FATF (another OECD subset) is reenergised with its planned onsite inspections and assessments to ensure effective implementation of its anti-money laundering regime. The IMF continues its programme of regular visits and assessments. Also active are the Financial Stability Board (regulation and oversight of all things financial), Basel III (bank regulation), IOSCO (securities), IAIS (insurance) and the UN running its own initiatives on taxation and corruption. In parallel with these global initiatives, there are various unilateral actions by the EU and individual nations, most notably the EU Savings Directive (mark II) and moves against offshore hedge funds (AIFMD), the US driven FATCA regime and its duplicates now being eagerly adopted by other countries, and the UK corralling of the Crown Dependencies and the Overseas Territories to sign up to automatic tax information exchange and beneficial ownership transparency. The compliance burdens and costs of all these are significant and anti-competitive; and fall on both the private sector and governments in OFCs, and ultimately the clients. OFCs cannot safely ignore these issues and carry on as before. Switzerland has highlighted the dangers of playing the ostrich. This is simply not a sensible or viable long term option for those OFCs that participate in global financial markets, and for whom exclusion would sound an immediate death knell. Perception and reputation are very important, both for OFCs and their major clients. And uncertainty and delay are not good for either. So active engagement by OFCs is essential. Ensure their legislation, regulation and supervision meet accepted and implemented international standards. More effectively implement and enforce existing financial services laws and regulations, anti-corruption and anti-money laundering laws and cross border assistance in civil, criminal and tax matters. Increase transparency by enactment of holistic data protection laws (balancing legitimate privacy rights and legitimate law enforcement), by increasing the publicly available information regarding both regulated and unregulated entities and by increasing the statistical information obtained and published by their regulators and agencies. Improve the delivery of innovative legislation and regulation, not just in financial services but also in areas such as intellectual property, technology, and medicine. Improve (legitimate) intelligence gathering, lobbyingand media relations, particularly in key centres such as Washington, London, Brussels and Paris to influence political and media perceptions, opinions and outcomes. Embrace joint lobbying and actions by OFC governments to highlight the hypocrisy of many of the initiatives and to strive for a genuinely level playing field. Sponsor and support think tanks, symposia/fora/conferences and publication of quality academic studies analysing the (beneficial) role of OFCs. Ensure their infrastructure (eg, courts, telecommunications, ports and airports) is world class. Improve their domestic ‘environment’ to encourage, facilitate and expedite the establishment of physical businesses and institutions staffed by top decision makers. Ensure their public and private sector cost and fee regimes are competitive. The number and wealth of global businesses, families and investors will increase over time and the greatest growth will be in the new worlds not the old world. Global competition inevitably includes tax and regulatory competition. No-one has yet created the perfect tax or regulatory regime, so competing regimes (within broad agreed norms) are perfectly proper. Individuals and corporations are still entitled legally to maximise their wealth. Indeed, it is one of the principal purposes and obligations of a corporation to do so. Increased wealth will continue to make proper tax, estate and succession planning for global businesses, families and investors essential and lead to greater demand for tax advantaged/neutral and agreeable places to live and work with easy access to quality professional services and markets. OFCs with high standards of sensible regulation, appropriate transparency, cross border assistance arrangements and good infrastructure while providing quality value-added services have a valuable and vital role to play in this scenario. The barriers to entry as an OFC are ever increasing. The cost of developing the infrastructure and meeting international standards is significant and success cannot be achieved overnight or guaranteed. And there are probably now too many OFCs. Competition is increasingly fierce, and jurisdictions and structures are increasingly seen as fungible. The survivors will be those who engage successfully, meet international standards, have an established infrastructure and track record (in all its aspects), tax efficiency, professional expertise and support services, a solid and diverse base of business, and the ability quickly to adapt and innovate in the ever changing global environment and to add real value to international transactions and capital flows in an efficient and cost effective way. A number of Caribbean OFCs meet the tests for being survivors. But to thrive, they must learn better from history and from their (and others’) mistakes and work more effectively to be accepted as legitimate participants in the global financial world. This article first appeared in IFC Caribbean Financial Centres 2014 Review. (BBC): TV cameras have been allowed to record proceedings in one of the highest courts in England and Wales. Filming is being allowed at the Court of Appeal for the first time, after a partial lifting of the long-standing ban on cameras in court. Senior judges and major broadcasters welcomed the move, which the head of BBC News said was a "landmark moment". Cameras are not yet allowed in crown courts and magistrates' courts. Live broadcasting is possible in five courtrooms at the Royal Courts of Justice in London after years of campaigning by the BBC, ITN, Press Association and Sky News. Filming has been banned in courts – with the exception of the UK Supreme Court – since the Criminal Justice Act 1925. Lawyers' arguments and judges' comments will be allowed to be shown – but defendants, witnesses and victims will not. Only one courtroom will be covered a day. The most senior judge in England and Wales, Lord Chief Justice Lord Thomas, said: "My fellow judges and I welcome the start of broadcasting from the Court of Appeal. The Court of Appeal has, of course, been open to the public and to journalists for a long time. The change in the law which is now coming into force will permit the recording and broadcasting of the proceedings of the Court of Appeal. This will help a wider audience to understand and see for themselves how the Court of Appeal goes about its work,” he added. (CNS): The police have arrested a 26-year-old man on suspicion of murder in connection with the fatal shooting of Earl Hart in Prospect earlier this month. A police spokesperson said that the man was arrested Wednesday afternoon, following a police operation in the Safehaven area and he is currently in police custody. This is the third arrest in connection with the gang-related killing, in which the 22-year-old was gunned down at his home when he opened the door to at least one gunman on the evening of 3 October. Police also arrested a 31-year-old man and a 21-year-old man in the Bodden Town and Savannah areas on Wednesday 16 October. Both men were released a few days later but the 21-year-old remains on police bail. Police were also believed to be involved in another operation in Lower Valley today, where at least one man was seen to be taken away by witnesses in handcuffs but so far no details have been released and police have not stated what this operation related to. (CNS): With the political arm of the Turks and Caicos Islands government having lost faith in the attorney general, Huw Shepheard, the British appointed top lawyer has resigned from the post. A release from the governor’s office in TCI said Shepheard had tended his resignation on Wednesday 30 October and he will be leaving the post Friday. He also gave notice of his intention to file legal charges against the TCI government for reputational and other damages. TCI Premier Dr Rufus Ewing filed a constitutional challenge in the TCI courts recently over the AG’s right to make decisions without consulting Cabinet. In wake of the latest news, government said it would seek legal guidance should it need to defend itself against Shepheard. Officials from the governor’s office in TCI said that Rhondalee Braithwaite, the deputy attorney general, would be sworn in as Acting Attorney General until a substantive successor was found for Shepheard.